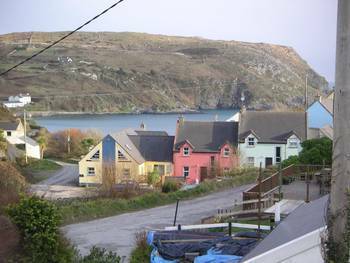 Cape Clear Island is Ireland's most southerly island. It is a 45min boat trip from Baltimore or Schull in West Cork. The island is 3 miles long and 1.5 miles wide and has a population of 120 persons. It is a gaeltacht island - the first language is Irish. Because of its southerly position, the climate is milder than mainland Ireland. It is also a noted paradise for bird watchers.